When Apple’s long-awaited wireless charging mat was a complete no-show during the recent iPhone Xs launch event, alarm bells started to sound. After teasing the device a full year ago alongside the announcement of iPhone X, AirPower doesn’t seem to be making any progress. Now, some industry insiders have started sharing info about what’s really going on with AirPower behind the scenes, and it’s not looking good. In short, it seems AirPower might never come out, and if it does, it could be radically different from the multi-device wireless charging pad Apple originally promised. 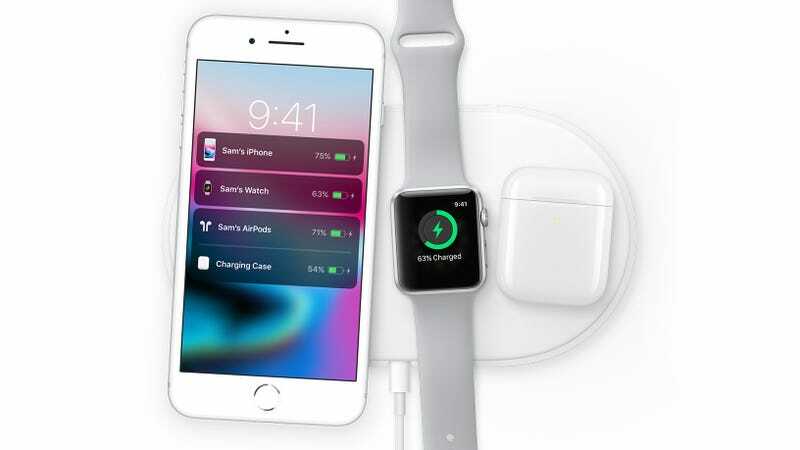 According to tech blogger Sonny Dickson, AirPower had been suffering from multiple issues including poor heat management which causes devices to get too hot while charging, bugs with accurate reporting of battery levels between devices, and mechanical interference between the 20-odd charging coils Apple uses to send electricity wirelessly to nearby devices. “The broad feeling of many working the project at Apple is that the device may be doomed to failure, and may not be viable at all unless significant advancements can be made,” he wrote. And if that wasn’t enough, it seems simply trying to cram all that tech into a charging pad slim and sleek enough to live up to the handful of AirPower teaser images Apple released in 2017 wasn’t going well either. Recently, Apple has even taken to scrubbing almost all mentions of AirPower from its website, with Dickson claiming that the product “will either be canceled, dramatically delayed, or taken back to the drawing board with an all new design.” The only survivor of this whole saga might end up being the AirPower name, which Dickson says may get repurposed in an entirely different device or feature in the future. Longtime Apple fanatic John Gruber also cited similar reports from third-party sources, with “little birdies” telling him that AirPower is “truly fucked.” Similar to Dickson’s claims, Gruber says AirPower’s main hurdle was a thermal design that ran exceedingly hot and left engineers without any feasible options for addressing the issue. So at this point, for anyone who was waiting for a homegrown wireless charger from Apple, now might be a good time to look elsewhere as AirPower has seemingly transformed into vaporware. And as bad at this looks, Apple’s biggest mistake may have been one of hubris. If Apple hadn’t teased AirPower last year without knowing for sure the company could make it happen, we probably wouldn’t be talking about any of this right now.